He first showed us the details of his refined technique in "Live in Concert - Inside My Drums" (2004). Then he revealed double bass drum secrets (and much more) in "The Infallible Reason of My Freak Drumming" (2010). 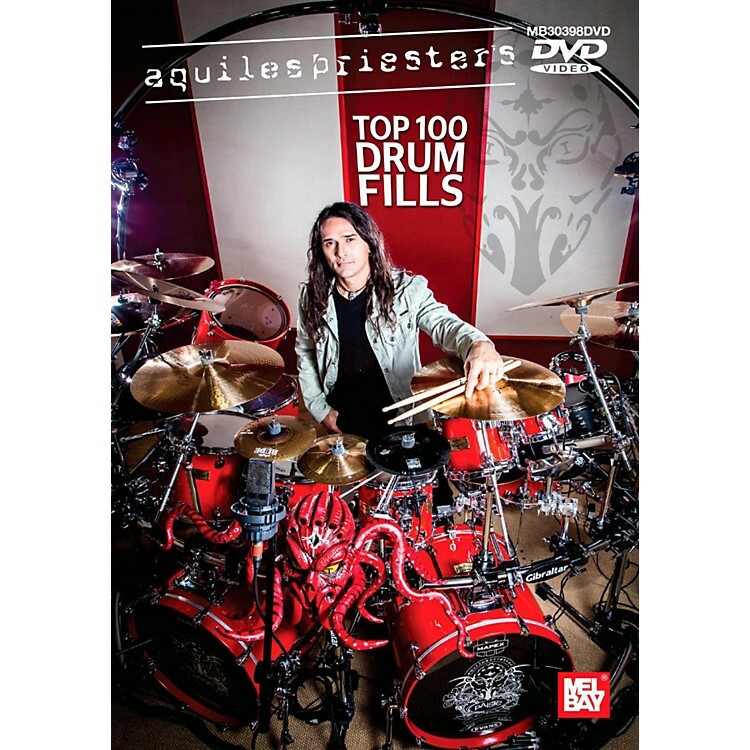 It was voted third-best educational DVD of 2011 by the American magazine Modern Drummer, widely considered the drum bible of the world.Now it is time for Aquiles Priester, considered one of the best heavy metal drummers in the world for over a decade, to reveal some more of his secrets on video. Over 100 secrets are revealed in this DVD. "Aquiles Priester's Top 100 Drum Fills" begins with a selection of fills he recorded for various projects he took part of such as Hangar, Angra and Freakeys. Other fills were created during the actual recordings and have also been included. The final result includes 150 fills, 100 of which were chosen for this DVD. Another 25 were included as bonuses, such as themes with Hangar, Tony MacAlpine and Midas Fate.All of the fills were recorded at slower tempos than the original versions to facilitate the accompaniment and provide a clear presentation of Aquiles' technique. The video was recorded using Full HD and GoPror cameras-the last word in video technology. The video was directed by Daniel Piquï¿½ and the recording took place at Mr. Som Studio (SP) with co-production by Marcello Pompeu and Heros Trench.Aquiles Priester has been voted for 12 consecutive years as the best heavy metal drummer in Brazil. Modern Drummer has ranked him as the fifth-best prog-metal drummer in the world. He was also the first Brazilian heavy metal drummer to play at the Modern Drummer Festival and the Montreal Drum Fest in 2011. In this DVD, Aquiles presents a truly comprehensive lesson in 100 chapters filled with technique, speed, precision and creativity.- Antonio Carlos Monteiro, Roadie Crew magazineAdditional DVD booklet available for free in the "Downloads" tab.